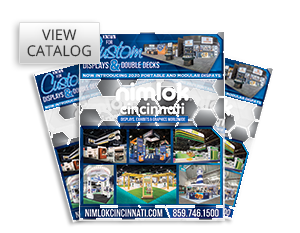 Choosing Nimlok Cincinnati means you are partnered with one of the largest and most prestigious display and exhibit companies in the world. We not only serve Ohio, Kentucky and Indiana, but our respected status throughout the U.S., Europe and Canada make us the first call for companies around the world. 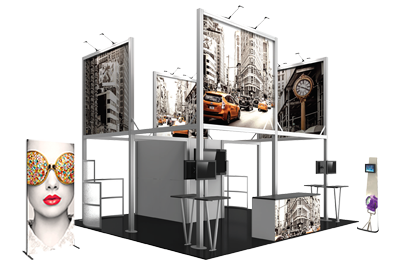 Nimlok Cincinnati being the leading provider of Portable and Modular Displays offers a large array of Extruded Aluminum Systems, Portable Displays, Banner Stands, Popup Displays, Hanging Structures, Truss Systems, Merchandise Displays and other accessories to add the perfect touch to your exhibit. 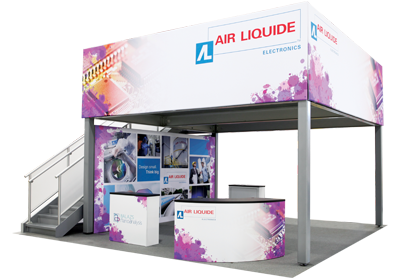 As the largest manufacturer of custom exhibits and displays we offer strategic development services that fully assess your needs and desires providing you with your perfect display. Nimlok Cincinnati being the complete exhibit house, can combine audio visual and technology integration; installation and dismantling services, shipping, storage, asset management, and warehousing, alleviating the stress of multiple facets during your event process. We are the partner of choice to a multitude of clients including Fortune 500 Companies, Museums, Hospitals, Leading Universities, Sports Hall of Fames, Airports, and Small Businesses. From custom displays and permanent installations to banners and high quality graphics, we do it all! No job is too big or too small.